528 pages | 23 Color Illus. | 71 B/W Illus. Mountain regions encompass nearly 24 percent of the total land surface of the earth and are home to approximately 12 percent of the world’s population. Their ecosystems play a critical role in sustaining human life both in the highlands and the lowlands. During recent years, resource use in high mountain areas has changed mainly in response to the globalization of the economy and increased world population. As a result, mountain regions are undergoing rapid environmental change, exploitation, and depletion of natural resources leading to ecological imbalances and economic unsustainability. Moreover, the changing climatic conditions have stressed mountain ecosystems through higher mean annual temperatures and the melting of glaciers and snow. Altered precipitation patterns have also had an impact. This book addresses these critical issues and looks at ways to stop the downward spiral of resource degradation, rural poverty, and food and livelihood insecurity in mountain regions. The book also discusses new and comprehensive approaches to mountain development that are needed to identify sustainable resource development practices, how to strengthen local institutions and knowledge systems, and how to increase the resilience between mountain environments and their inhabitants. 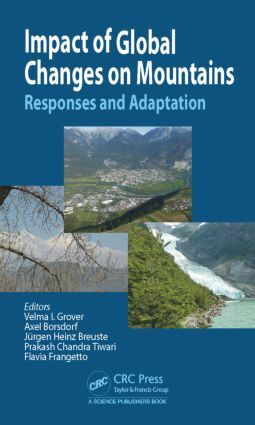 "This book will be welcomed by environmental and social scientists for its review of strategies for coping with environmental changes in mountain areas. … Each chapter includes a comprehensive set of references and figures, some of which are also reproduced as color plates in the appendix. Overall, this is a useful contribution. … Summing up: Recommended. Upper-level undergraduates through professionals/practitioners."